After taking a few photographs whilst visiting a National Garden Scheme garden last summer, Corinna Potter decided to submit her favourite into the photography competition. Just a few weeks later, she was announced 2017’s winner and received a once-in-a-lifetime prize. 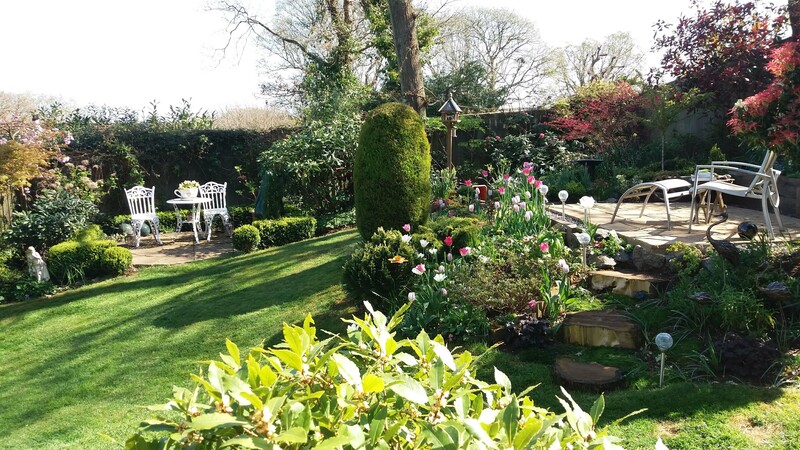 Gardening is definitely a family passion for Corinna, who has been a self-employed gardener for eight years and has transformed her own garden on the Isle of Wight into a horticultural paradise. 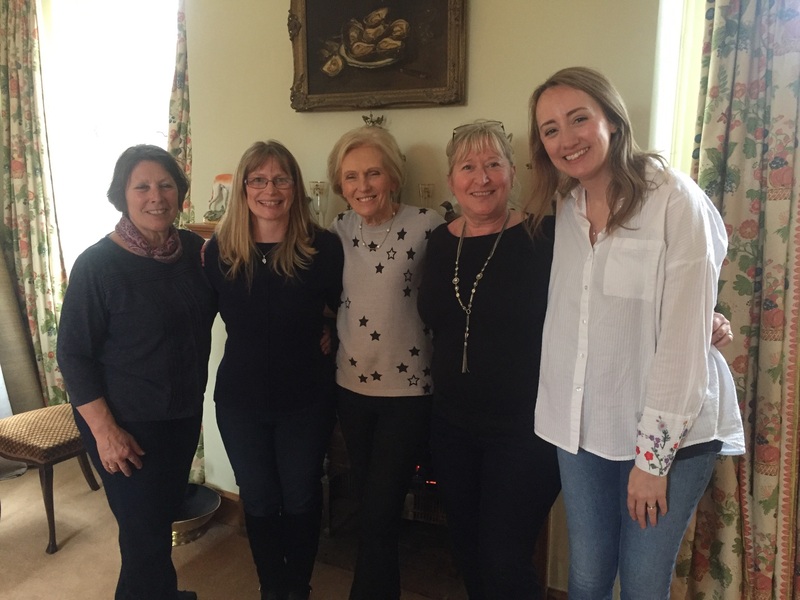 We sat down with Corinna to discover the story behind her winning shot, as well as to find out about her afternoon with Mary Berry. How did you find out about the National Garden Scheme? My mum introduced me to the National Garden Scheme. We used to visit gardens together at the weekends, when I was living in Kent as a teenager. Are you a regular garden visitor? 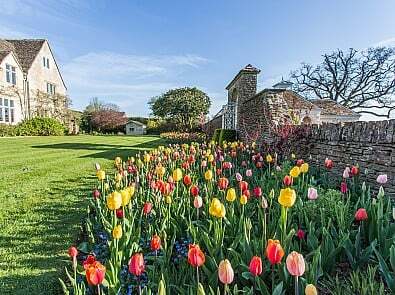 Since moving to the Isle of Wight I have enjoyed many afternoons with friends visiting the gardens that open on the island, and return each year to some much loved gardens. 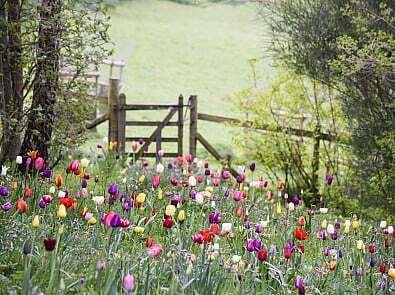 Do you have a favourite National Garden Scheme garden? On the island we like to make an annual visit to Badminton, a garden in Carrisbrook with a beautiful natural stream flowing through it. I visited The Old Rectory Kingston for the first time last year too, which is a stunning garden, and is actually where I took my competition photo. What do you enjoy most about the National Garden Scheme? Being a keen gardener I know how much work and dedication it takes to create and maintain a garden. 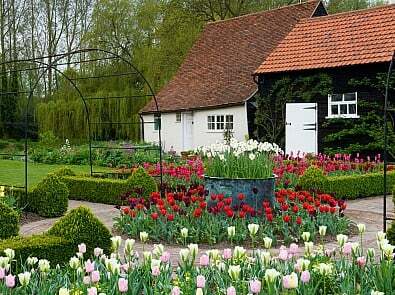 The work that owners put into opening their gardens for charity is immense, and to be allowed to visit them and enjoy the beauty of their creations is a joy. Knowing that the money raised on the day goes towards such great causes definitely rounds off the perfect afternoon out too. There is also so much inspiration to be found in other people’s gardens. Recently my friend and I visited a National Garden Scheme garden that had some beautiful Clematis ‘Princess Diana’. And the first thing we did when we got home, was order some for our own gardens! What inspired you to enter the photography competition? 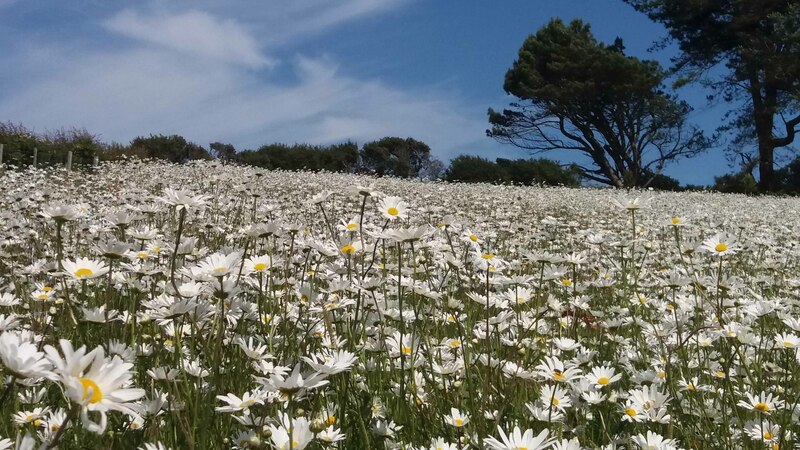 When I visited The Old Rectory Kingston on the Isle of Wight, it was a beautiful, hot sunny day and the daisy field was just amazing. Originally, I just took the photo to remind me of the wonderful view and enjoyable day. But when I got home and looked at the photo on a larger screen I was surprised how clear and lovely the scene looked. By coincidence, being a bee keeper, there is a little bee on a daisy in the bottom right hand corner which made me smile. When I looked online for the date of the next garden to visit I noticed the photography competition. The photo evoked the memories of lovely summer days and I decided to send it in just because I liked it and thought it was quite a nice photo! How did you feel when you discovered you had won the photography competition? It was a surreal time for me when George, the CEO of the National Garden Scheme, phoned to say I had won. Firstly I wondered how he knew I visited National Garden Scheme gardens because I’d completely forgot I had entered the competition at all! But when he said I had won the competition I was stunned and exhilarated to think that whilst I liked taking photos to look back on and remember enjoyable times, other people had got pleasure from the photo too. 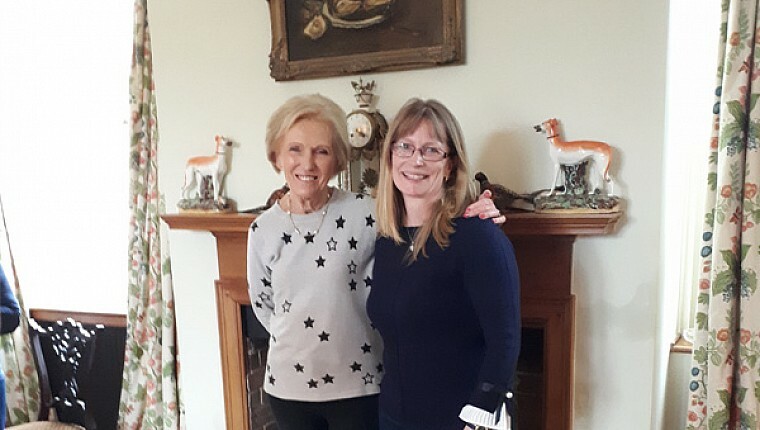 For your prize, you spent the afternoon with Mary Berry. How was your afternoon together? Myself, my two friends and my step-daughter went together to spend the afternoon with Mary. Mary welcomed us with afternoon tea, including delicious lemon drizzle cake, scones and sandwiches. She even packed a little goody bag of cakes for my husband when she found out it was his birthday that day! After our afternoon tea, we all strolled around the garden together. Mary explained her plans for the space for the Summer ahead, including what looked like a very impressive perennial border. As a gardener myself, it was great to share some ideas with Mary as we wandered around together. What would be your top tips for amateur photographers entering the competition? My only advice would be take photos of plants or garden views that you would like to look back at, and that remind you of the lovely gardens you’ve visited this summer. If you’re feeling inspired, there’s still plenty of time to enter our 2018 photography competition. Visit a National Garden Scheme garden and submit your entry before 28th August 2018, and you could win a collection of garden tools worth over £950 from our sponsors, WOLF-Garten. Whatsmore the winning photograph from the Fantastic Flowers category will be featured in BBC Gardeners’ World Magazine’s 2019 calendar. To enter visit our website, read the guidelines and submit your photograph online.